Hey guys. Thanks for dropping back in on the blog!! I hope you all had a lovely weekend! We explored a ton this weekend & visited two markets!! The Vintage Keepers Market was the one that got me thinking about pillows. Seeing all the awesome makers pillows etc..I mean, I wanted one of each!! So this is going to be a pretty short straight forward type of post.. As you probably can see it's all about some simple neutral style pillow inspiration! 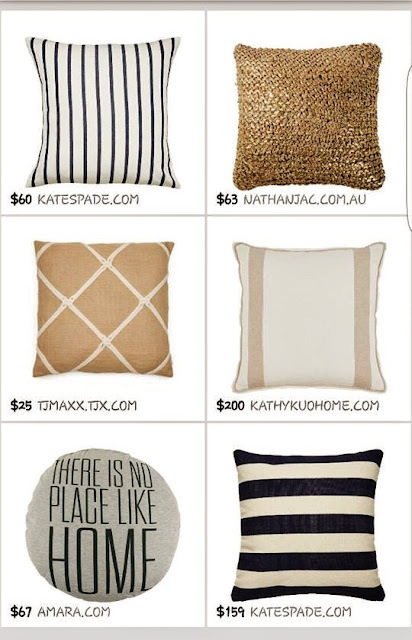 Most of these pillows are much more than I would ever pay for pillows, but the inspiration,style & overall appeal from these ones I grouped together are great! I did give some low to very high priced styles in this collage just to show variations. Pillows are that staple item, well at least in our home that can change any style, cozy up any room or brighten any space! 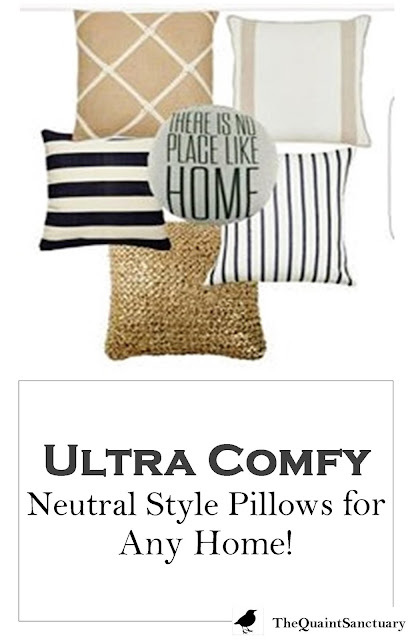 I love neutral cozy/comfy pillows in our home because they can be tossed anywhere & instantly lift a room. I have bought bright/bold throw pillows in the past & honestly they're sitting in our decor room..They can be much harder to work with & aren't as versatile which intern is kind of a waste of money in my opinion. Come see this simple list with sources below! **You can find more of these style pillows at the places listed below with direct links provided! Let me know if you guys like these types of post & what else you would like to see here on TQS! Happy & Healthy Monday friends!